Thomas Lee has a storied pedigree in both his home state of Utah and the legal field. His father, Rex Lee, served as the U.S. solicitor general and the president of Brigham Young University. Lee’s brother, Mike, serves as a U.S. senator from Utah and is also on President Donald Trump’s list of potential Supreme Court nominees. If nominated and confirmed, Lee would be the court’s first Mormon justice. 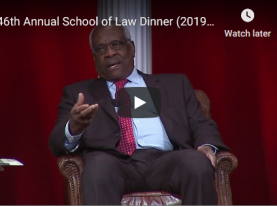 Thomas Lee graduated from Brigham Young University and the University of Chicago Law School and went on to two clerkships: the first for Judge J. Harvie Wilkinson on the U.S. Court of Appeals for the 4th Circuit, and the second for Supreme Court Justice Clarence Thomas. After his Supreme Court clerkship, Lee worked in private practice before becoming a full-time professor at BYU’s law school. From 2004 until 2005, Lee served as a deputy assistant attorney general in the civil division of the U.S. Department of Justice, where he headed the department’s Federal Programs Branch, which defends federal agencies, federal statutes, and the president in high-profile cases. In 2010, Utah governor Gary Herbert appointed Lee to the state’s supreme court, where the 52-year-old now serves as the associate chief justice. Lee is also a strong supporter of a doctrine known as corpus linguistics, which employs extensive databases cataloguing the use of words and phrases to determine their meaning in the legal context. In a 2016 article for the Yale Law Journal, Lee explained that the doctrine can be deployed as part of originalist efforts to determine what the text of the Constitution would have meant to the people who lived at the time it was adopted. Lee used the doctrine in the modern context in a 2015 concurring opinion to determine whether a state law’s reference to the discharge of a firearm means the firing of a single shot or instead the firing of all of the ammunition in a gun’s magazine. In his six years on the Utah Supreme Court, Lee has not frequently been confronted with many of the hot-button issues near and dear to the hearts of conservatives. 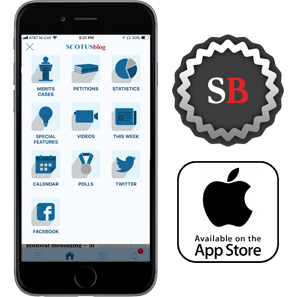 To the extent that he has weighed in on such issues, however, his opinions and votes often reflect his originalist approach to judging and suggest that he would be a solid conservative in the vein of Thomas and the late Justice Antonin Scalia. The Constitution gives Congress power to regulate interstate commerce; the “dormant” or “negative” commerce clause is the idea that states cannot enact laws that discriminate against interstate commerce. In a 2015 dissent, Scalia described the concept of the “dormant” or “negative” commerce clause as a “judicial fraud,” contending that the “fundamental problem with our negative Commerce Clause cases is that the Constitution does not contain a negative Commerce Clause.” Later that year, Lee wrote for the Utah Supreme Court in an opinion that rejected a challenge by satellite TV providers to a Utah tax program that provided a tax credit to cable TV companies but not to them. In a separate section, Lee specifically weighed in on the broader issue of the dormant commerce clause itself. He noted that the U.S. Supreme Court had “described its dormant Commerce Clause caselaw as a ‘quagmire,’” and he added that “[n]ot much has changed in the interim.” The Utah court, he explained, was “reluctant to extend dormant Commerce Clause precedent in new directions not yet endorsed by” the U.S. Supreme Court, especially when doing so here “would open a can of worms.” “If the courts are to embark on a constitutionally mandated journey limiting the longstanding police powers of state and local governments to regulate business,” he maintained, the U.S. Supreme Court should make that call. A few years later, the Utah Supreme Court (again, in an opinion written by Lee) similarly rejected Auer deference – the principle that courts should defer to an agency’s interpretation of its own regulations. The court instead concluded that the appropriate standard for reviewing an agency’s interpretation of its regulations “is a non-deferential one that” simply determines whether the interpretation is correct. “We are in as good a position as the agency to interpret the text of a regulation that carries the force of law. In fact,” the court continued, “we may be in a better position,” because the agency should not have both “the power to write the law and the power to authoritatively interpret it.” Such a power, the court concluded, “would be troubling,” if not a violation of the state constitution. 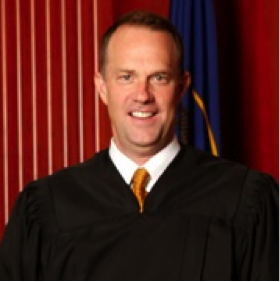 During his stint in academia, Lee also had what the Utah Supreme Court’s website describes as a “part-time appellate practice,” including at the U.S. Supreme Court. Lee represented Utah there in its 2002 battle over the 2000 census – specifically, the methodology, known as “hot-deck imputation,” that the U.S. Census Bureau used to fill in gaps or resolve uncertainties in its data. The bureau’s use of that methodology increased North Carolina’s population and decreased Utah’s, leading to a gain of one seat in Congress for North Carolina and the loss of one seat by Utah. Utah argued that the bureau’s use of hot-deck imputation violated both federal laws governing the census and the U.S. Constitution, and it sought an order that would require the bureau to change the official census results. The Supreme Court rejected the state’s challenge by a vote of 5-4. Lee and his wife Kimberley have six children – only three fewer than Scalia, the justice Lee would succeed. Lee enjoys running, boating, snowboarding and basketball. Andrew Hamm contributed to the legal research for this profile; thanks also go to Jason Manion for pointing me to Lee’s writings on agency deference and corpus linguistics.